Computational models of the human cardiac cells provide detailed properties of human ventricular cells. The execution time for a realistic 3D heart simulation based on these models is a major barrier for physicians to study and understand the heart diseases, and evaluate hypotheses rapidly toward developing treatments. 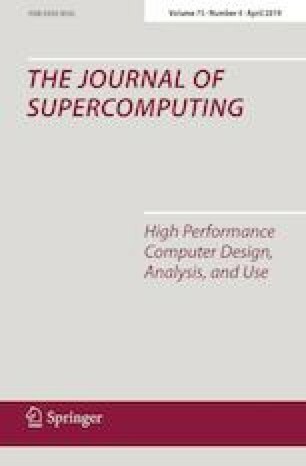 Graphics processing unit (GPU)-based parallelization efforts to this date have been shown to be more effective than parallelization efforts on the CPU-based clusters in terms of addressing the 3D cardiac simulation time challenge. In this paper, we review all GPU-based studies and investigate both the cardiac cell models and cardiac tissue models in 3D space. We propose algorithmic optimizations based on red black successive over-relaxation method for reducing the number of simulation iterations and convergence method for dependence elimination between neighboring cells of the heart tissue. We investigate data transfer reduction and 2D mesh partitioning strategies, evaluate their impact on thread utilization, and propose a strongly scalable cardiac simulation. Our implementation results with reducing the execution time by a factor of five compared to the state-of-the-art baseline implementation. More importantly, our implementation is an important step toward achieving real-time cardiac simulations as it achieves the strongest scalability among all other cluster-based implementations. This material is based upon the work supported by the National Science Foundation under Grant No. CNS 1624668 I/UCRC: Industry/University Cooperative Research Center for Cloud and Autonomic Computing.